A classic starter. Ham hocks are cooked slowly until the meat falls off the bone, then packed it into a tin with some of the enriched cooking liquid to set. Pork hock is the cut of meat taken from the lower leg of the animal, around the ankle region. Somewhat confusingly, it is also known as the knuckle. Because it is from a weight-bearing part of the animal, it is a lean cut full of tendons and ligaments that requires long, slow cooking to render it tender enough to fall off the bone. Hock is usually sold salt cured and smoked, in which case it is referred to as ham or gammon hock, and is essentially a jointed version of bacon. If you search, you can certainly find recipes where ham hock is treated like a traditional joint and roasted in the oven beneath an inviting layer of crackling skin. Typically for a nation so in tune with the gastronomic power of pork, this is a common dish in Germany, where it is served with mountains of fried potato and white cabbage. However, as ham hocks carry a strong flavour and contain lots of skin and bone, the meat is more often used for seasoning purposes rather than being served whole. 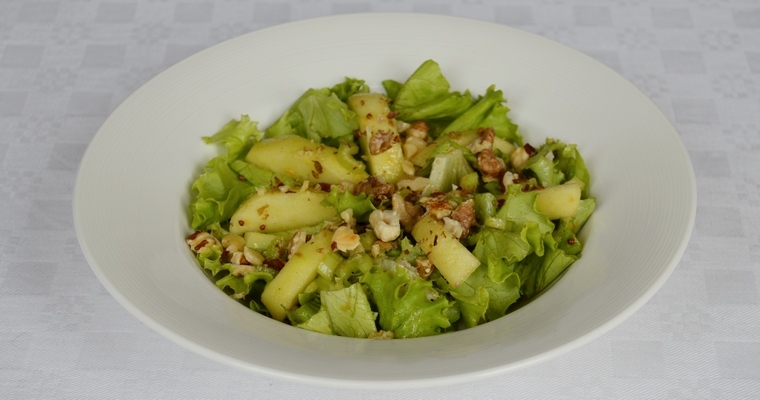 Traditionally it is paired with peas or beans, such as in the classic split pea and ham soup. There, the hock is cooked in a braising liquid until tender. The meat is then stripped from the bone and flaked before being returned to the cooking liquid with the remaining soup ingredients. Which reminds me: when cooking ham hocks, never throw away the cooking liquid, as it makes the most marvellous-tasting stock. So for such a cheap cut of meat, it is incredibly giving and versatile, finding a home in omelettes, salads, stews and stir fries. As the hock cooks down, the tough connective tissue that holds the meat to the bone gets broken down into gelatine and released into the cooking liquid. When cooled, this enriched stock will set into a jelly, which can be used to bind together the flaked meat into a terrine. To boost the gelatine content of the stock, I suggest cooking the hock with a pig trotter that has been cut up or bashed about with a meat cleaver by your butcher. 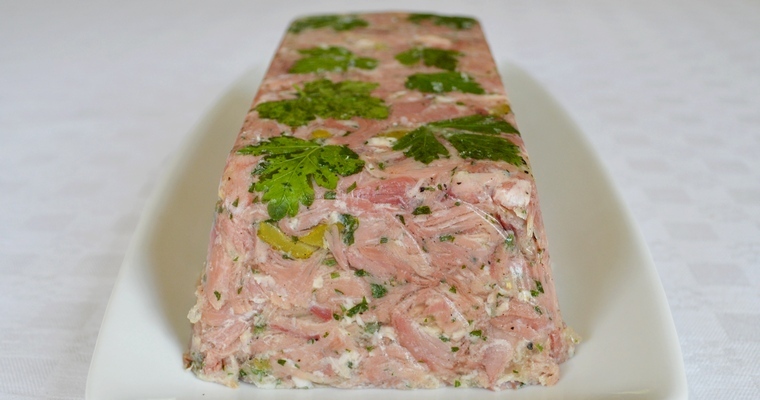 The terrine can be prepared well ahead of serving, so makes a perfect dinner party starter. Additionally, it will keep well in refrigerator, for at least a week, as the gelatine acts as a preservative (this is why the Victorians were so wild about aspic dishes like calves foot jelly). Cook the hocks. Put the hocks and trotters in a large pan and cover with cold water. Bring to the boil over a high heat, then reduce the heat and simmer for 10 minutes. This will drive out the impurities, which will rise to the top to form a thick layer of scum. It will also remove excess salt from the curing process. Drain the hocks and trotters, discarding the scummy water. Return the hocks and trotters to the pan. Add the aromatics (carrot, onion, garlic, peppercorns and bay leaves). Cover with just-boiled water from the kettle. Simmer gently with a lid on for four hours, or until the meat is tender and falling off the bone. Once cooked, drain by pouring through a colander held over a large wide-mouthed jug or bowl. Reduce the cooking liquid. Pour 1 litre of the cooking liquid back into the pan and place over a high heat (reserve the rest for stock). Boil rapidly until reduced by one-third, to concentrate the gelatine – about 25 minutes. Shred the hocks. Remove the hocks, place in a large bowl, and peel off the skin. Set the skin aside to use later for pork scratchings. Run a sink of cold water and sit the bowl in the sink to bring down the temperature quickly. As soon as the hocks are cool enough to handle, gently scrape off any excess fat using a metal spoon. Use your hands to pull apart the meat from the bone, then finely shred. This is much easier to do when the meat is still hot. Add the parsley and pepper (do not add salt, as the cured meat will be salty enough). You can either keep the cornichons whole and place lengthways in rows to present an attractive circular cross-section when sliced, or halve and then dice. Mix well. Assemble the terrine. Once the cooking liquid has reduced, assemble the terrine. Line a 900g / 2lb loaf tin with a double layer of clingfilm, making sure there is enough overhang to cover the top of the terrine. If the clingfilm refuses to stick to the sides of the tin, damp down with a bit of water. For a pretty effect, place a few whole parsley leaves at the bottom of the loaf tin (if doing this, chill the reduced cooking liquid for a few minutes in the fridge to prevent the leaves from getting scalded). Pour 2-3 tablespoons of the liquid into the tin, then scatter a few handfuls of the shredded hock on top. Pack down with your hands to compact the mixture. Repeat this layering until the tin is full, making sure the meat is just covered by the cooking liquid. Fold the overhanging clingfilm over the top. Set the terrine. Place in the refrigerator to set. After a few hours, once firm, place a couple of food tins or other heavy items on top to compact the mixture further. Return to the refrigerator. Leave overnight, and eat within 1 week. To serve, gently remove from the tin and invert onto a chopping board. To keep the terrine intact when slicing, wrap tightly in 2 more layers of clingfilm, then cut into thick slices. Remove the clingfilm from each portion before serving.